Commemorating those citizens who have died for their country has become a national tradition throughout the world. Before 1914, nations had never before seen war on an industrial scale. Men who had readily signed up for the armed services believing that they would not see battle because the “War” would be over by Christmas instead watched for four years as their friends, relatives and fellow citizens died in Turkey, France and the Middle East. Looking back to the landings at Gallipoli on 25 April 1915 it is amazing the speed at which that date became a day of remembrance for the ANZAC nations, New Zealand and Australia. 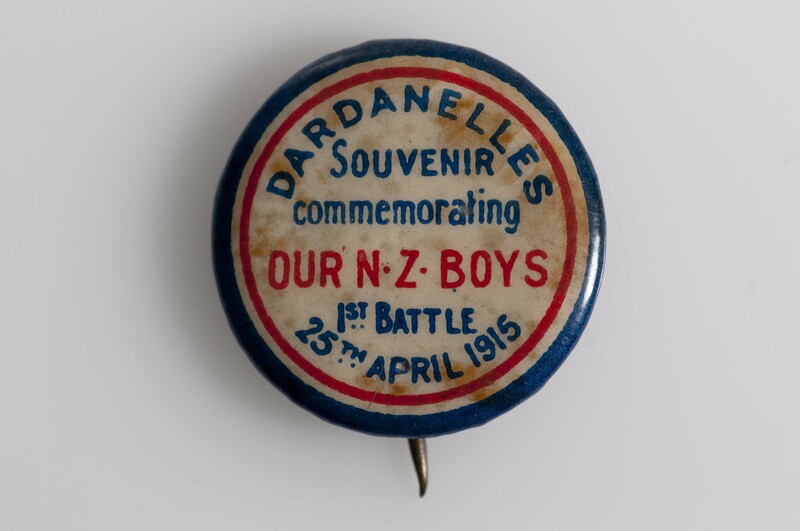 Badges and fundraising days were organised throughout New Zealand within weeks of the outbreak of war. Napier played a significant part in public support for those men serving overseas. 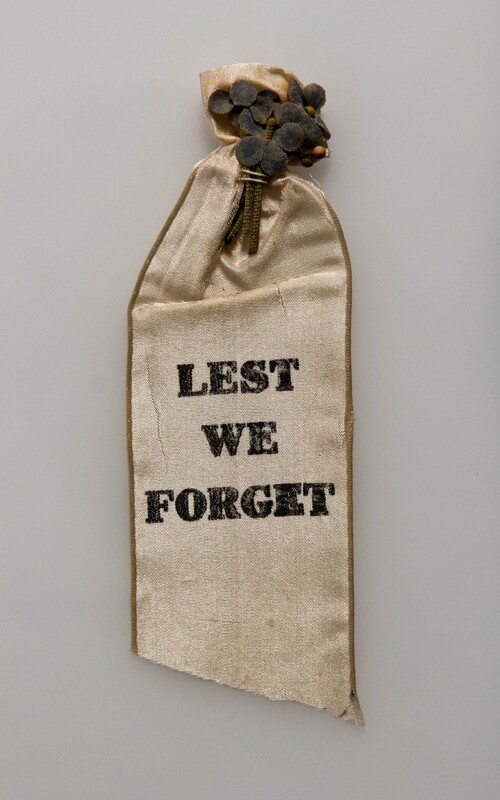 As the war continued and the casualty lists posted in newspapers showed the extent of war losses, New Zealanders recognised that Gallipoli would become a rallying point for national identity. A memorial day fund drive had begun even before it was known that the battle at Gallipoli would end in evacuation and defeat. What mattered most was that men under arms overseas were supported and that those at home who had lost a loved one were taken care of. In London, the day known as the First Anniversary of the Landing at Gallipoli was commemorated with a memorial service held at Westminster Abbey. 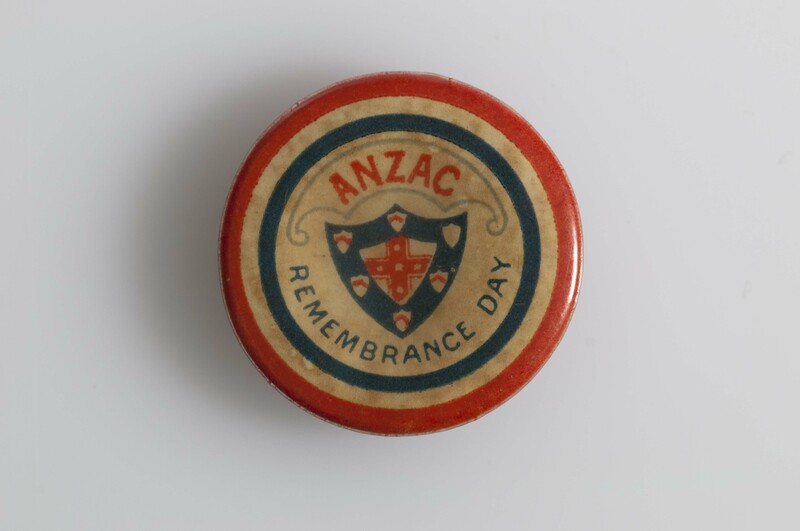 Such was the esteem held for New Zealand and Australian soldiers that the service was attended by King George V, Queen Mary, and General Sir William Birdwood, commander of the ANZAC forces at Gallipoli. 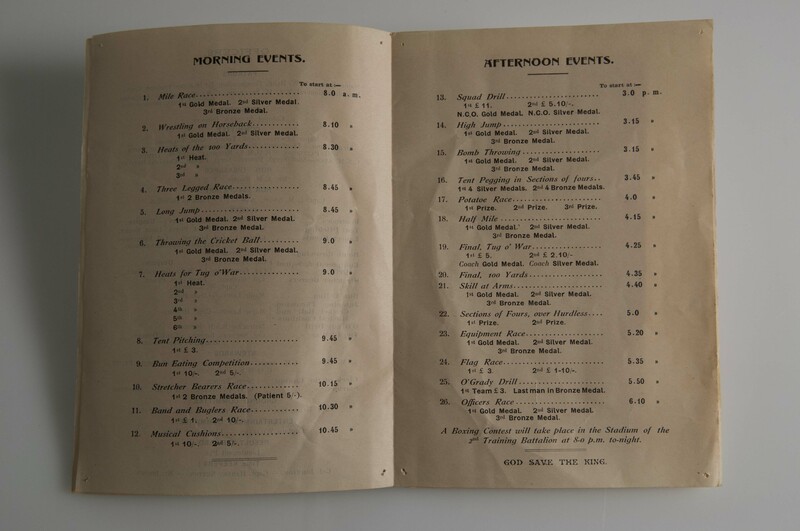 The itinerary for the day included a march by the Australian and New Zealand troops and a lunch at the Hotel Cecil. Sermons were delivered and church bells were rung in appreciation. Programme of sports events for troops stationed at Tel-El-Kebir on the first anniversary of the landing of ANZAC forces at Gallipoli. Collection of Hawke’s Bay Museums Trust, Ruawharo Tā–ū-rangi, . However, not all ceremonies were so solemn an occasion. Those troops evacuated from Gallipoli had been sent to Egypt to rest and replenish their ranks. At Tel-El-Kebir outside of Cairo, New Zealand troops held a military sports day in memory of the first landing at ANZAC Cove. Events included a tug-of-war, tent pitching, stretcher-bearer’s race and, peculiarly enough, a bomb throwing competition. As the camp contained a high proportion of Australian troops, it is easy to see that friendly competition would have taken place between the two national sides, ensuring the bond that was set in the heat of battle was made permanent at a more peaceful time.